Dragoon is well known for the quality of the game components. The dragon play pieces are metal finished in Gold, Silver, Copper, and Black Nickel. 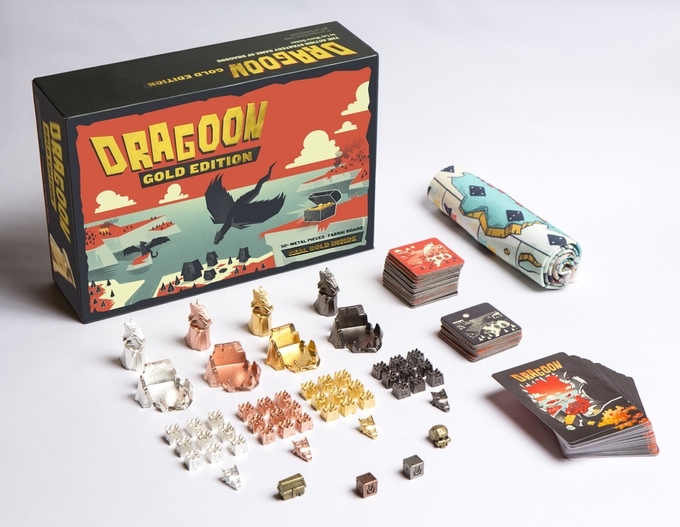 The GOLD EDITION once again offer this premium option, but for the more economically minded gamer they are also making a plastic version available. 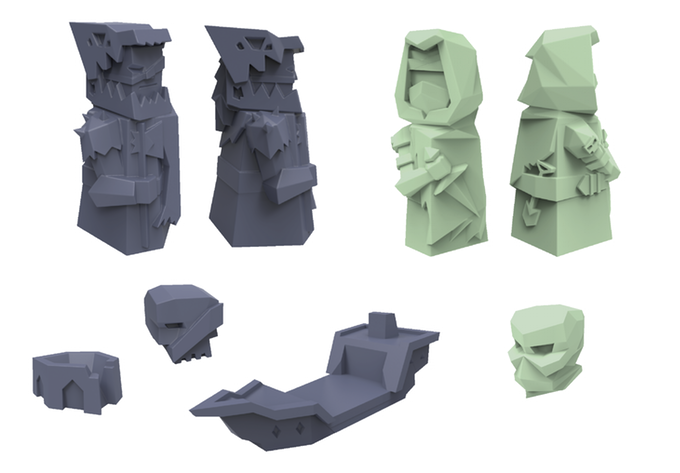 Plus they are also launching the The Rogue and Barbarian Expansion on Kickstarter. The expansion expands the core game for up to 6 players in any combination. Pledges start at $30 for the expansion and $50 for the plastic version. You can check out the project and pledge here.